Taxi drivers in Spain staged a 24-hour strike to protest taxi-hailing apps such as Uber and Cabify. Unions say the tech companies are posing unfair competition. The dispute has been fuelled by a recent Supreme Court ruling granting 80 new licenses for private drivers employed by taxi app services. 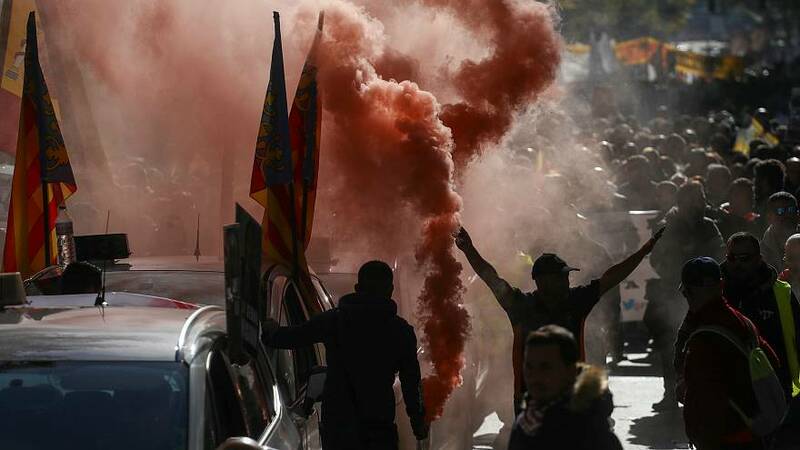 Around 20,000 people took to the streets in Madrid. The Spanish capital is not the only city to protest against taxi apps. Cab drivers in London, Paris, Rome and Brussels have also voiced their discontent.